Page 39 — Sami is starting to get the idea that something fishy is going on here. Note: I first published this page while travelling and didn’t have a scanner, so I snapped a not-too-bad picture with my iPhone! This is the official scanned page. Since I had the camera going, I posted some process stuff, too, on my blog. Have a look! 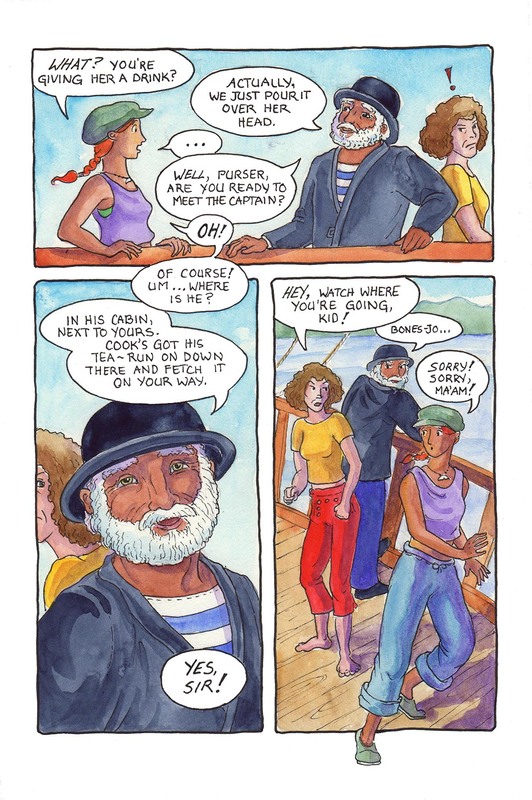 This comic was posted in Mermaid Music and tagged comic, graphic novel, mermaid, mermaid comic, sailors, sea comic, ship, webcomic.